Virtual* and webcam caches are so-called ‘grandfathered’ cache types. This means that there is no longer a possibility to hide new caches of this type. A virtual cache does not have a physical logbook to sign. Instead the ‘finder’ must complete a task or answer a question in order to qualify for finding the cache. The cache type is represented by an angry-looking ghost. 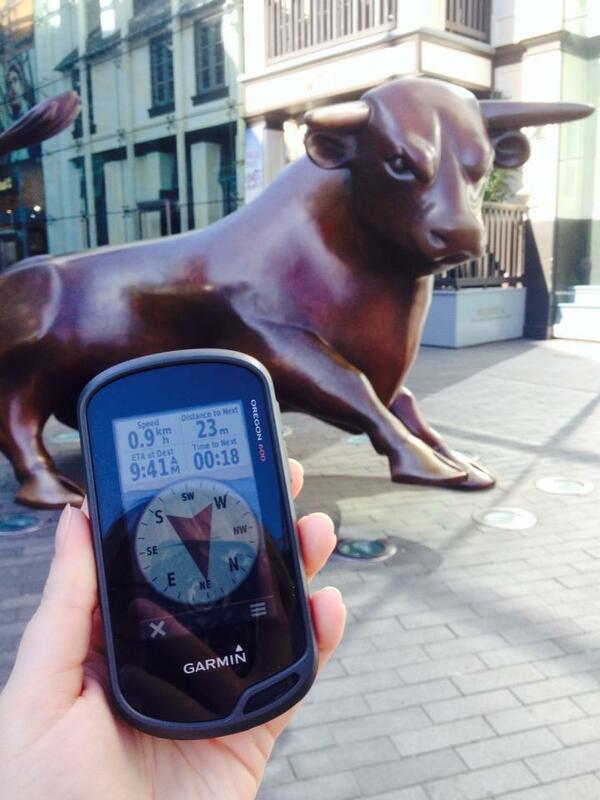 In the below example, the cacher must navigate to the coordinates and take a picture of themselves and/or their GPS device at the interesting item to be found there, and then send the picture to the cache owner in order to allow them to log a ‘found it’ on the website. With the creation of the virtual cache type, lots of new caches started appearing as the lack of maintenance required was appealing to cache owners. However, issues with armchair logging (finding the answers online instead of actually visiting the location) signaled the inevitable end of new virtual caches and they were ‘grandfathered’ in 2005, meaning that existing virtuals could remain but no new ones would be published. In August 2017, Groundspeak unveiled so-called Virtual Rewards, which would allow a limited number (4,000) of new virtual caches to be released. The geocachers who were offered a virtual reward were chosen by an algorithim, which Groundspeak shared was based on “geocaching activity, geocache quality, and geocache health.” Community volunteers (reviewers) were included in the 4,000 cache owners chosen to release new virtual caches. 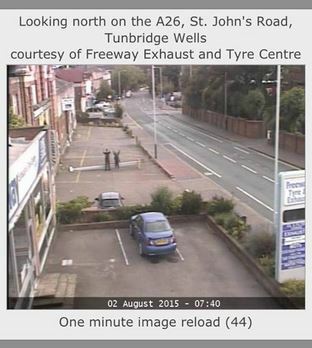 Webcam caches involve the geocacher navigating to specific coordinates and having a snapshot taken of them on a publicly available webcam feed. In the past, you would have to call a friend when you were on the spot to take a screengrab of you standing in front of the camera, but the wide availability of data on smartphones, means that nowadays, most cachers can take the required screenshot from their own phone. Groundspeak developed waymarking.com in 2005 to “accommodate and perpetuate a variation” of virtuals and webcams. Waymarking is a separate activity to geocaching, but many geocachers partake in both activities. There are various opinions regarding whether or not grandfathering virtual and webcam caches was the right thing to do. Many people would really like to have new virtual and webcam caches published, but others believe that the cache types are too open to abuse and agree that they should be kept a thing of the past. The numbers of these cache types are dwindling as they cannot be adopted out to other cache owners and the coordinates can never be changed. If an object used in a virtual cache is moved, the virtual cache must be archived, as the coordinates for the landmark’s new location cannot be updated. 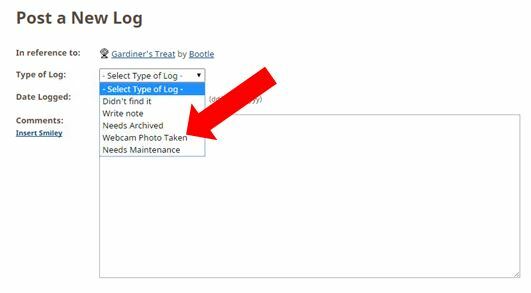 Have you found any virtual or webcam caches? Let me know in the comments! I love virtual caches because I always learn something. The last one I found was in New Orleans, Louisiana GCA5A9 A Shining Example. It was a beautiful statue of Joan of Arc. Once I discovered that virtual caches were no longer being added, and that one of the games one can play is to try find all the different kinds of caches available, I decided to see if there were any near me. Jackpot (and that word is sort of a hint, too)! Tri-State Cache GC8809 was a quick grab and close to home. I’m relatively new to caching. I enjoy your blog and the tutorials you’ve presented. If you’re looking for another topic to address, consider writing about trackables. I found my first one a few weeks ago and squealed with excitement so loudly that my caching partner thought I had just gone a little mental. He’s new to caching too, and didn’t understand what the trackable was or what to do with it. I will put a link to this in my 101 section too, to help others find it. If you have any more suggestions on topics you would find useful, let me know!